Weight: 400 gr. (approx.) vacuum pack. Ingredients: Pork loin, salt, 3% DOCG Barolo wine, flavorings, spices, dextrose. E 250, E 252 preservatives. E 301 antioxidant. 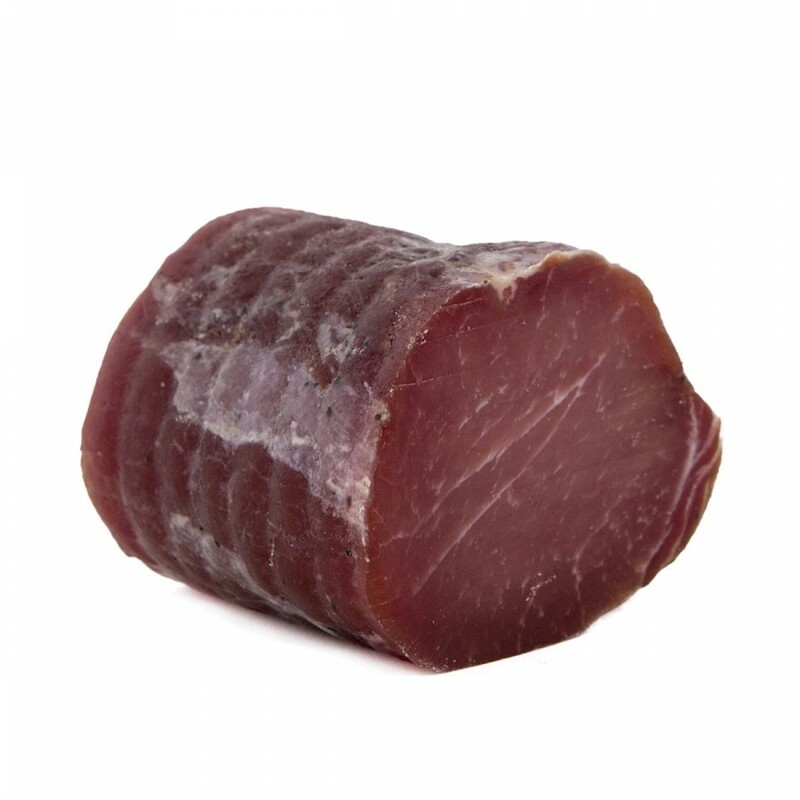 Description: Typical cold cut of the Piedmontese tradition, “Filetto al Barolo” is made from highly selected pork loin, carefully and delicately trimmed after removing all excess fat and salted several times and for several days using sea salt. The loin slices are then “drowned” in DOCG Barolo wine, alternating working the meat and letting it rest until the wine is completely absorbed. Finally, the product is stuffed into gut casings and left to dry and mature. Cut it into very thin slices. Excellent together with mushrooms and vegetables in oil!